Ex-Punjab DGP’s tweet triggers Air India move. New Delhi: Air India on Monday decided to “roll back” its boarding passes bearing photographs of Prime Minister Narendra Modi and Gujarat chief minister Vijay Rupani after they came in for criticism. The airline had earlier said the passes, featuring the photographs which were third-party advertisements, would be withdrawn if they are found to be in violation of the Model Code of Conduct. According to news agency reports, former Punjab DGP Shashi Kant on Monday tweeted a photograph of his boarding pass issued at the New Delhi airport, questioning how pictures of the two leaders could be on it. 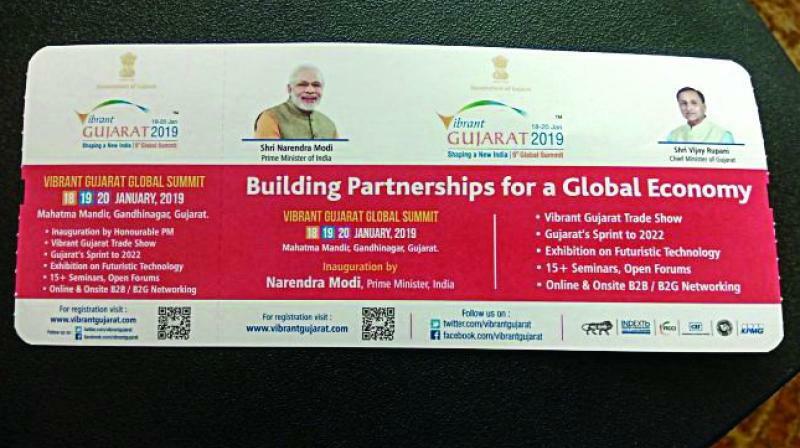 “The rolls seem to be the ones left over from the boarding passes printed during the Vibrant Gujarat Summit and the photos are third-party advertisements. It has nothing to do with Air India. These boarding passes are not just for Gujarat, but are in use across India,” Mr. Kumar was quoted by news agencies as saying.